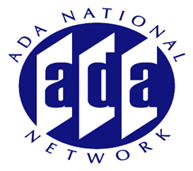 The 2010 ADA Accessibility Standards and the Architectural Barriers Act Accessibility Standards address permanent amusement rides. Scoping provisions applying to newly designed and constructed rides provide the option to choose the type of access that is suitable for a particular ride. Three options for providing accessibility include a wheelchair space on the ride, a ride seat designed for transfer, or a transfer device. This session will provide details on the technical provisions for each type of access required on rides. Additional information recently obtained from a research project related to "independent" transferring will also be discussed.